Different bombs. Collect those blue pyramids known as “Rikas.” Then you can spend them in the shop for different bomb types that do different things. Don’t let it blow up! You only have so much time to get rid of the bomb. Do it fast, because you don’t want to be caught in the blast. Use everyday objects. It’s up to you to save the house from pesky bombs! Use everyday objects to push them out of the house. Visually, Bombarika is gorgeous. 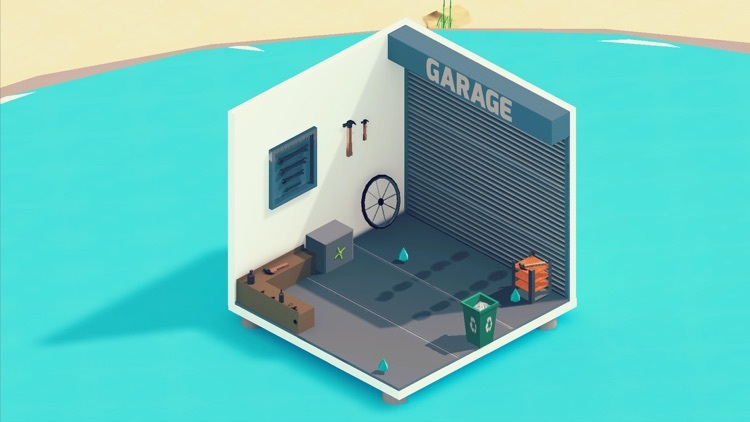 The game features an isometric 3D aesthetic that’s strongly reminiscent of[ Monument Valley](https://appadvice.com/post/unravel-the-secrets-of-sacred-geometry-in-monument-valley-/1187265767/883789791), except rather than Escheresque-style dreamscapes, you’re dealing with typical rooms that you’d find in a house or even a business. It’s more realistic, but the art style is downright beautiful to look at and behold. I also find it to be serene and minimalistic, so it’s definitely nice eye candy. Animations are smooth and fluid, so there’s no lag on my iPhone 8 Plus. The music is upbeat and quirky, proving to be rather delightful to my ears. Sound effects in Bombarika are realistic as well, and pretty hilarious when the bombs go off.